While the Queen of Soul, Aretha Franklin is battling Cancer and fighting for her life, her friend former R&B singer and now Radio Show host Keith Washington is getting his kicks airing personal conversations with her. 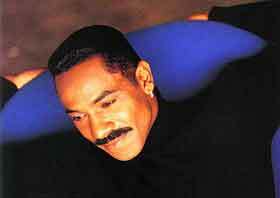 Keith Washington known for the chart topping song “Kissing You”, taped a cell phone conversation with Aretha. Aretha did not have knowledge that the conversation was being taped and that it would be on you tube. I’m sure Keith Washington will soon be a former friend of the Queen’s. Aretha is known for her privacy and is known as a tough person to interview because of her privacy concerns. I’m sure this is the last thing she would have expected from a “friend”. To call her up and pretend he cares only to record the conversation. The Fresh Music Page respects Aretha Franklin’s privacy and refuses to air the video of the phone call. Mr. Washington should be ashamed of himself but he’s proving that he is the scum of the earth. Our thoughts and prayers are with the Queen.